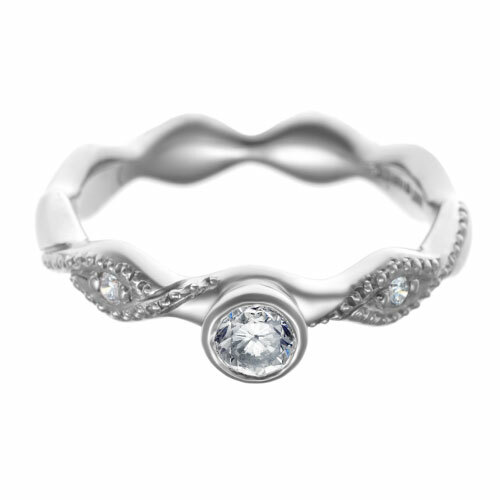 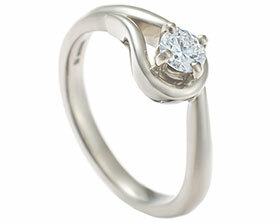 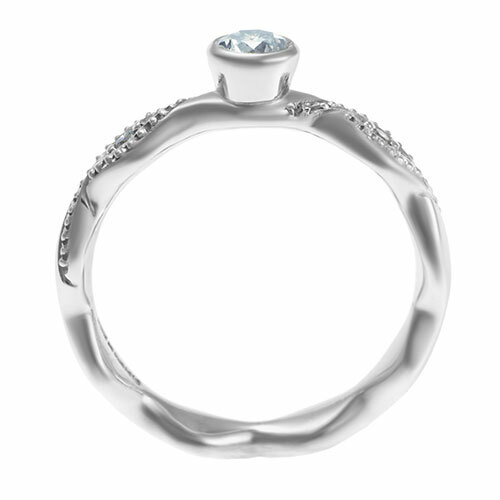 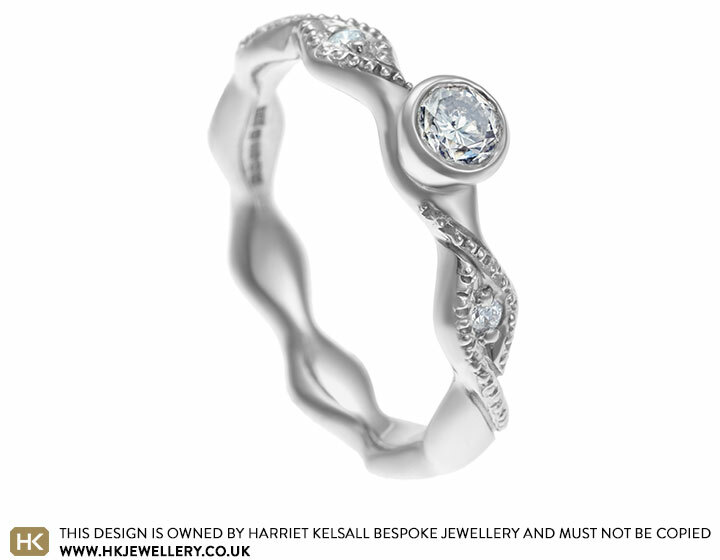 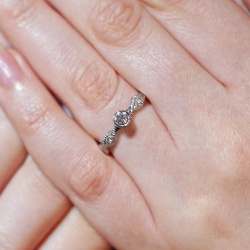 This beautiful engagement ring was designed by Harriet Kelsall and is inspired by rippling water. 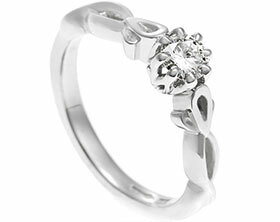 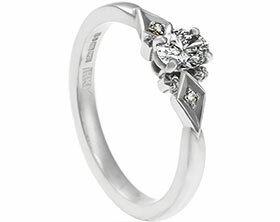 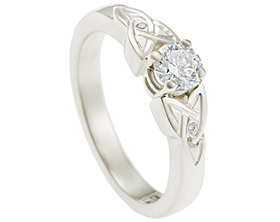 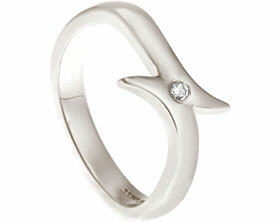 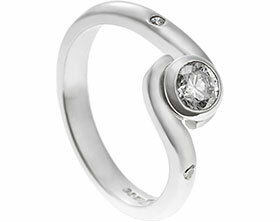 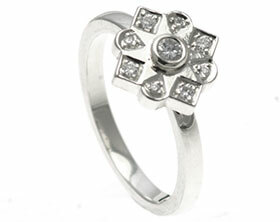 It has been crafted using 9ct white gold, which has been rhodium plated to give it an extra bright white colour. 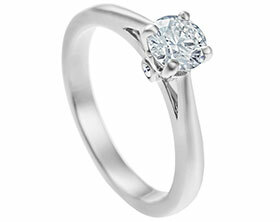 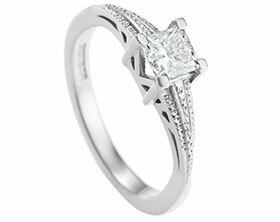 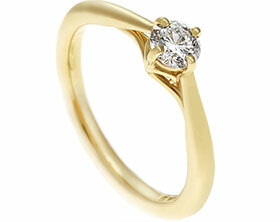 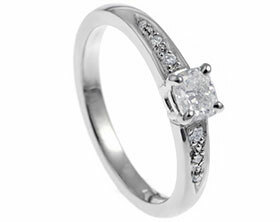 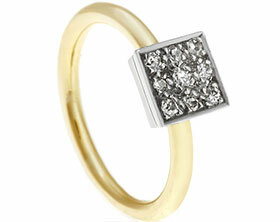 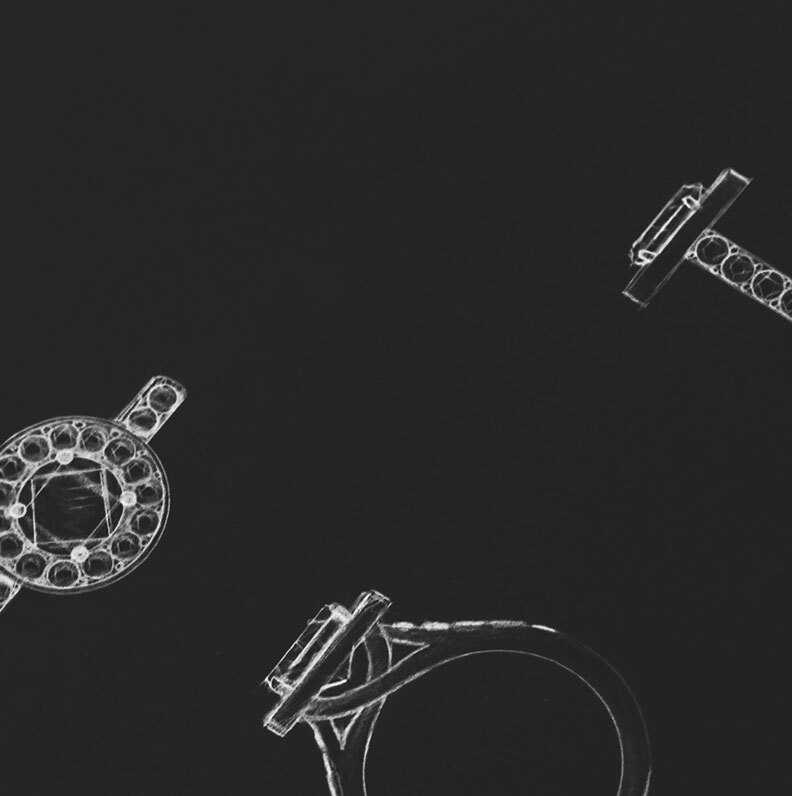 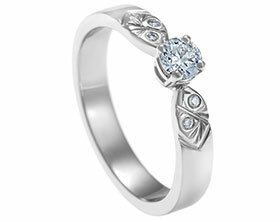 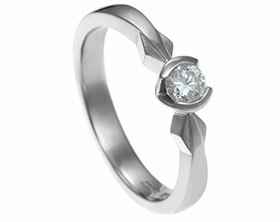 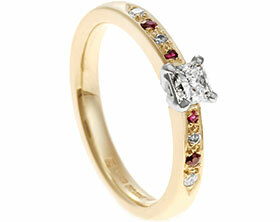 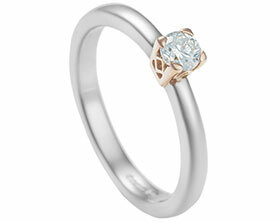 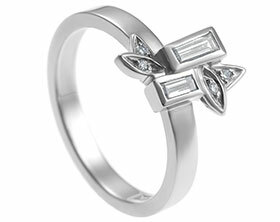 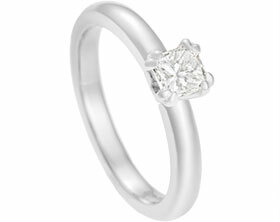 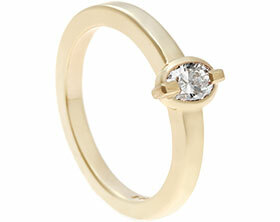 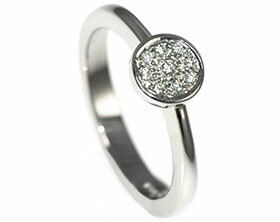 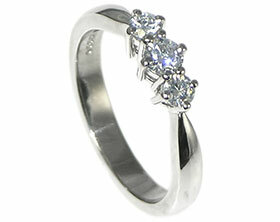 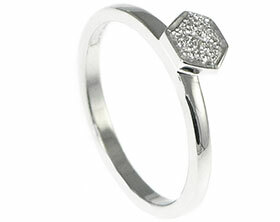 The central diamond, which weighs 0.24ct, has been all-around set to reflect the smoothness of the ripples in the band. 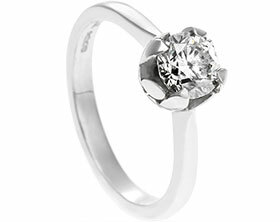 It is a good ethical choice due to the use of a recycled diamond,which was originally part of a glamorous bar brooch, so will have sparkled its way round some wonderful ballrooms in its time! 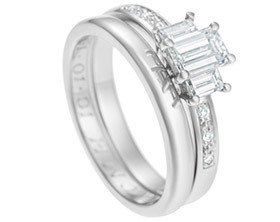 The white gold band has a comfortable rounded profile both inside and out. 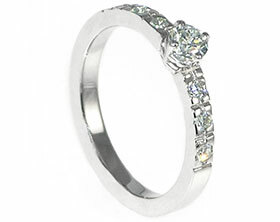 The two smaller diamonds are white with a fully brilliant cut and this further adds to the sparkle - they have been set in little almond shapes to echo the ripple shape of the bands. 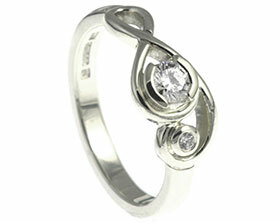 These ripples are emphasised by a beautiful “mill grain” twisting detail applied by hand.